Wisdom of Life. 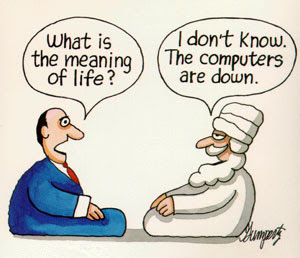 : What is the meaning of life? When i was a little boy, all i wanted in life was to do well in studies, be obedient to my parents, helping my dad's coffee shop, catching the right spider to win all the times, making the strongest kite and be the champion of tops playing. Ooop! Time passed so rapidly. In my teen age while still in secondary school, life was all about learning to dance the char char, rumba and the crazy 'Shake'. These dances made me popular when i got to know many girlfriends. Studies were neglected. Reaching 21, Life was freedom when the independent key was given. Life was to seek for job. Though at that time getting employment wasn't easy, i landed myself to be a young salesperson selling office equipments. So innocent and naive, i realised the working world wasn't that easy after all. I was taught the vices of everything available. Wine, women and music were the main issues all the time. I learned to gamble too. The most favorite game among the sales people was the poker cards. This poker taught me to have a poker face and to understand others as well. Life at this stage was to make money, immaterial from any sources. I got marry quite young. Husband at 23 and one year later i became a young father. Having a family to raise made me more serious in life. I became more responsible, more hard working and committed. Life was to see that my children had a future. I became more caring and loving. Seeing my children grew made me understand the value and hope for others. Sixty three of my best part of life had just gone by. Any regret over it? No! Not at all because it taught me to appreciate life better. Life is a journey to me. It hasn't ended yet because my journey is getting even more interesting and exciting. What is life to me at the moment? Life is to stay healthy as long as possible and yet be able to help those around you. Money isn't that important any longer when my career became my hobby and interest. I don't need to dance to be popular among ladies because i have the wisdom to draw the attention from those lucky ladies i know today. Life is fun and laughter. The more we have, the more cheerful and happy we are. Right Maram? The meaning of life can only be defined by the individual living the life. My "fullest" and your "fullest" can be complete opposites and there is no way to measure. If I lived each day as if it were my last or only day, what is more important? Family? Adventure? The Wonders of the World? Or a yoga class? I don't think it matters which one someone may choose. No one has the right to judge my life, I have to do what makes me happy. And right now, the meaning of my life is trying to figure out what makes me happy and get to that fun and laughter. I like your last sentence...What makes me happy and get to that fun and laughter. Thank you for speaking your mind here dear. Thank you my dear Robert! And thank you for assisting in my journey to find the meaning of my life. You are always a dear to me though you might be from afar. You wrote to well and i can't resist not to let others read your comment too. Will post for the next day. Thank you Maram.